Nothing screams “it’s cold outside” more than homemade soup. 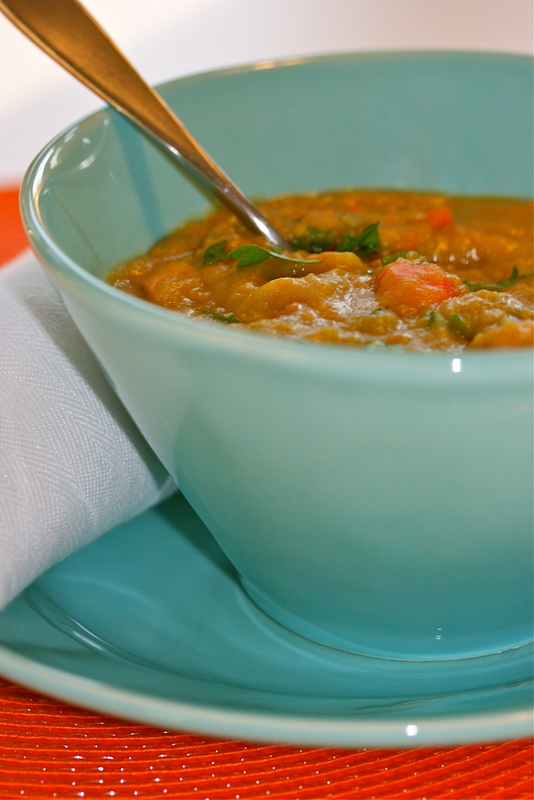 Rib-sticking thick, smoky split pea soup will warm you from your head to your toes. Unfortunately, here in the Northeast we seem to have gone from the fall season right into spring. It’s March and it was 70 degrees here this week. I still make soup, and it’s still delicious, but it loses a little of its effect when there’s no bone-chilling wind whirling around outside. Ham hocks are the secret to this soup’s rich flavor. Browning the ham hocks in your stock pot will produce those smoky good-bits in the bottom of the pan, and slow cooking them in your soup will impart that homey rich flavor that reminds me of my childhood. I don’t know how to make reasonable quantities of soup, and this recipe is no exception. Feel free to cut the recipe in half. 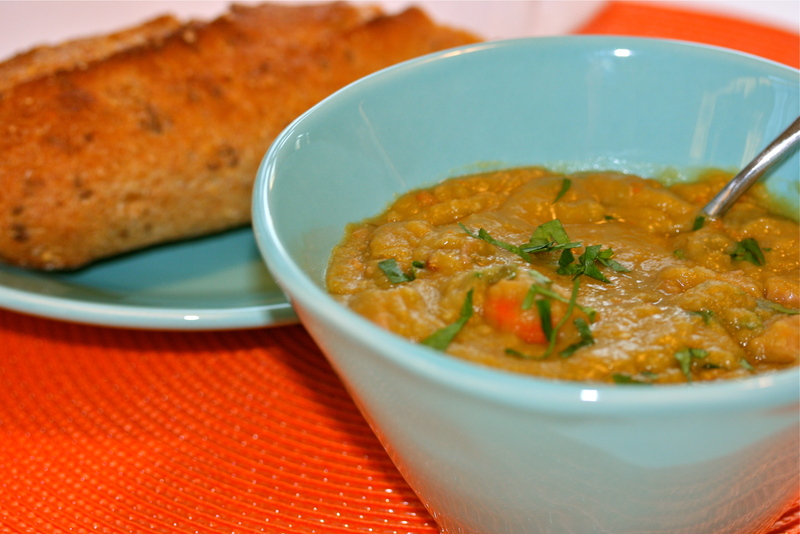 We typically will eat this soup for dinner the first night and then for lunch the next day. With some small containers left to freeze, they’re a great grab and go for lunches at the office. Heat a large stock pot or Dutch oven and add a little olive oil to the bottom of the pan. Brown the ham hocks on all sides, remove from the pan. Add the onion, carrots, celery, a little salt and pepper – sauté until they begin to soften but don’t let them brown. Add in the minced garlic and cook for a minute until fragrant. Add the split peas, bay leaves, thyme bundle and chicken stock, stir. Put the ham hocks back in the pot along with the diced ham. Stir again to combine. Bring the soup to a boil and reduce the heat to a simmer. Cook on a low heat for about 2 hours, stirring periodically. The soup should be nice and thick. Remove the ham hocks from the pot and cut the meat from the bones – it should fall off the bones easily. Discard any fat and the bones. Return the meat to the pot and stir. Taste to check seasoning, sprinkle with chopped parsley, serve and enjoy! * If the soup gets too thick, you can thin it out with a little water. The longer it cooks, the thicker it gets.